Serious Sam VR: The First Encounter is available right now! NOW! 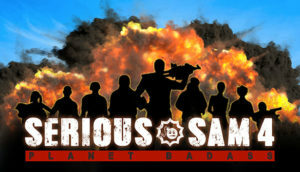 Just in time for a Christmas surprise – we are proud to present you fast paced arcade action FPS and best VR experience ever – Serious Sam VR: The First Encounter. Serious Sam VR: The First Encounter is a full locomotion game with the smooth trackpad movement for the brave ones, built-in teleportation system to dodge the enemies and plain teleport with aiming for entry-level VR players. It features single player and a multiplayer mode which includes up to 16 players in various cooperative and versus modes. Deathmatch included. And that one is a blast! Double the gun, double the fun and gain the courage to oppose Mental because your ultimate goal is to stop him once and for all. Travel back through time to ancient Egypt and fight against various enemies in what is considered to be one of the most visually enjoyable VR experiences. Since the game is released in Early Access expect major upgrades, tweaks, and bugfixes soon. Together with our friends and publishers Devolver Digital we can announce the first major update for Serious Sam VR: The Last Hope – online cooperative game mode, now available on Steam Early Access. The new co-op mode allows for two players to play campaign online. This puts players side by side inside the VR simulation of Captain Sam’s combat logs with each player controlling one of two virtual-but-deadly versions of Sam Stone to deliver double the damage on Mental’s hordes of enemies. Players can jump in and start doling out destruction via either HTC Vive or Oculus Rift. Now you can finally blast those enemies with your best friend! In addition to that, players can choose between two new difficulty settings: Tourist and Serious, both in single player and co-op mode. Follow us on our social channels @Croteam and Croteam Facebook for more updates. Need a gift for your Serious Samantha? Are you looking to surprise your basic pleasure model replicant? Or would you rather buy something nice just for yourself? And what if we’re all just androids? Yes, the rumors are true. Serious Sam VR: The Last Hope is now available for Oculus Rift with the Touch controllers. After few months of speculations Oculus Touch controllers are now ready for the delivery as of this week. Set contains two controllers specifically designed for your left and right hand and a second sensor that goes along with the first one. This should improve your gaming experience even more. 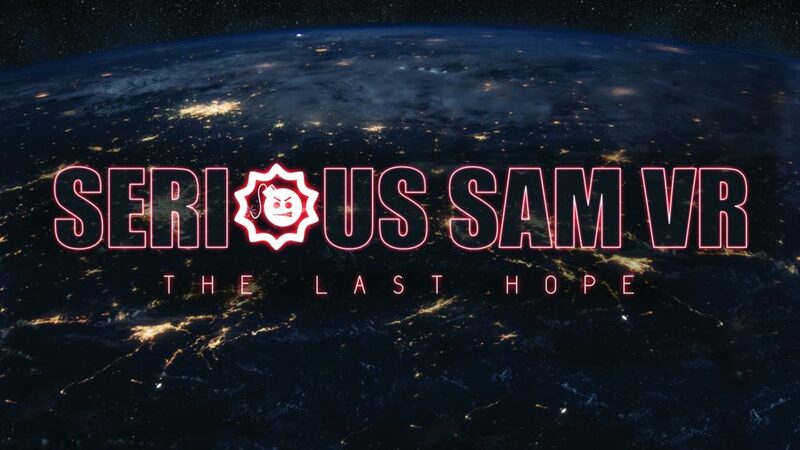 Serious Sam VR: The Last Hope is available through Oculus store by following the link below.